Tools to help you analyze your problem. Become familiar with general problem-solving principles and find answers to a few fundamental questions. General Principles: Overview of problem-solving principles. Getting Started Checklist: Checklist of fundamental questions designed to get you started. A well-crafted problem statement will help guide your analysis. Problem Statement: Define your problem in a clear and concise written statement. Problem Redefinition: Techniques for redefining your problem statement. Separate your problem into its component parts. Factors: List all the factors related to your problem. Sorting: Sort your problem into its component parts. Drill Down: Break your problem down into progressively smaller parts. Appreciation: Extract the maximum amount of information from a single factor. Forces: Identify forces that cause change. SWOT Analysis: Analysis of strengths, weaknesses, opportunities, and threats. Outside-In Thinking: Thinking outside-the-box to find new major categories. Future State vs. Present Reality: Compare your desired state to your current state. Major Categories: Identify the major categories of your problem. Five Whys: Discover the distilled essence of your problem. Hierarchical Abstractions: Perceive your problem from different levels of abstraction. Emotional Thinking: Identify and manage your emotional thinking. Negative Thinking: Recognize and manage your negative thoughts. Fear of the Unknown: Explore your fears associated with the unknowns of the problem. Past-Present-Future: Analyze your time perspective. Chronology: Organize your events and actions in chronological order. Organize the parts of your problem into graphical representations. Timeline: Graphic depiction of events and actions on a timescale. Cross Impact Matrix: Determine how the relationships between variables impact future events. Flow Chart: Diagram a process. Causal Flow Chart: Visualize your cause and effect relationships. Why - Decision Tree Diagram: Diagram a decision tree of the causes. Cause and Effect - Fishbone Diagram: Diagram your cause and effect relationships. Obstacles - Tree Diagram: Create a tree diagram of your obstacles. Mind Mapping: Map the structure and linkages between your related factors. Key Questions: Create a list of your key questions. Who: Preliminary list of standard "Who" questions. What: Preliminary list of standard "What" questions. When: Preliminary list of standard "When" questions. Where: Preliminary list of standard "Where" questions. Why: Preliminary list of standard "Why" questions. How: Preliminary list of standard "How" questions. From Where: Preliminary list of standard "From Where" questions. To Where: Preliminary list of standard "To Where" questions. Phoenix Checklist: The original problem-solving checklist developed by the CIA. 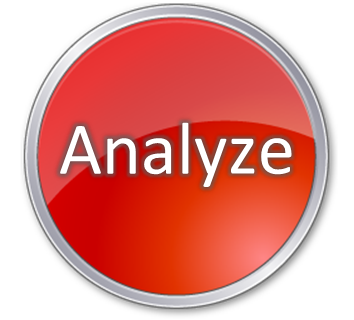 Examine and test your keywords. One Word Problem: Identify your keywords. Keywords List: Create a list of your keywords. Relational Words: Combine your keywords with relational words. Paraphrase Keywords: Paraphrase the keywords in your problem statement. Surface, examine, and optimize your unquestioned mental models. Intentions: Create a list of your intentions. Expectations: Create a list of your expectations. Assumptions: Create a list of your assumptions. Intuitions: Create a list of your intuitions. Opinions: Create a list of your opinions. Conclusions: Create a list of your conclusions. Judgments: Create a list of your judgments. Beliefs: Create a list of your beliefs. Hopes: Create a list of your hopes. Gut Feelings: Create a list of your gut feelings. Predispositions Analysis: Optimize your thinking.